Forty million miles of major roads crisscross the Earth's continents—enough to circle the planet 1,600 times. For humans, these thoroughfares are a boon, enabling them to move with ease from place to place. But for migrating animals who are also hemmed in by dams, rivers, shipping lanes, urban development and agriculture, they create another barrier. To expand the scientific knowledge base, a team of UC Santa Barbara scientists set out to estimate the vulnerability and extinction risk of migratory birds, mammals and fishes from different regions and ecosystems around the world. They did so using the existing literature and information from two large databases: the Living Planet Index and the International Union for Conservation of Nature (IUCN) Red List. The group's analysis now appears in a special edition of Philosophical Transactions of the Royal Society B titled "Collective Movement Ecology." 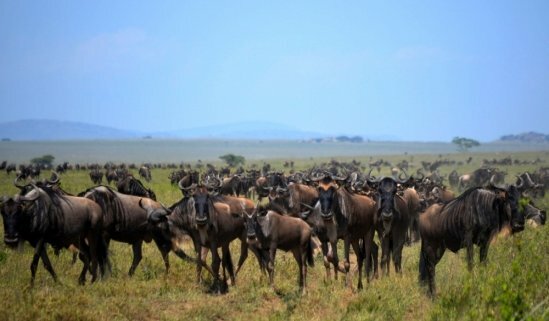 "As expected, we found that the vulnerability of migratory animals varied depending on the regional, environmental, behavioral and taxonomic context of the species," explained lead author Molly Hardesty-Moore, a graduate student in UCSB's Department of Ecology, Evolution, and Marine Biology. "Our results offer both an opportunity and a roadmap for mounting strategic interventions if we want to preserve this ecologically and economically important phenomenon."